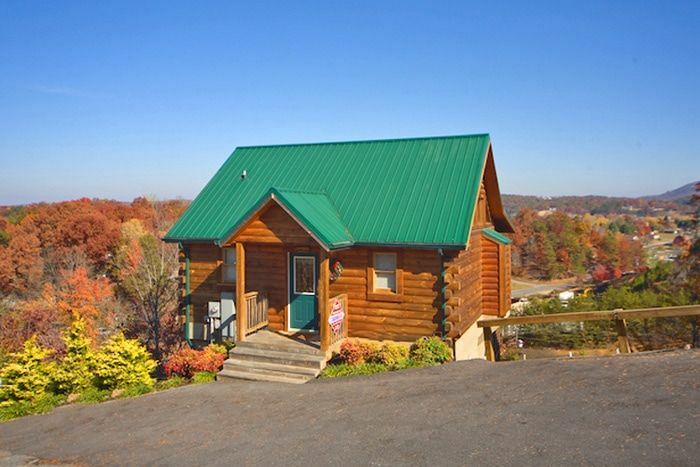 "A Romantic Journey," a delightful 1-bedroom cabin in the Pigeon Forge Smokies, places visitors just under a mile off the action filled Parkway! 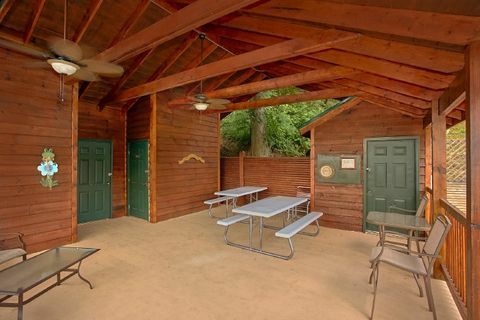 Discover why so many couples find this cabin to be the perfect setting for a romantic weekend getaway in the Tennessee Smokies. 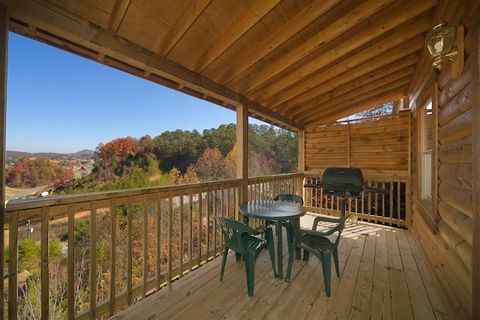 Located in Arrowhead Resort, "A Romantic Journey" offers terrific Smoky Mountain views overlooking the night lights of Pigeon Forge. 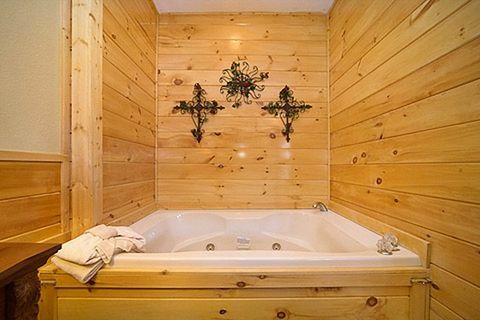 Its spacious king suite comes complete with en suite jacuzzi tub for two. 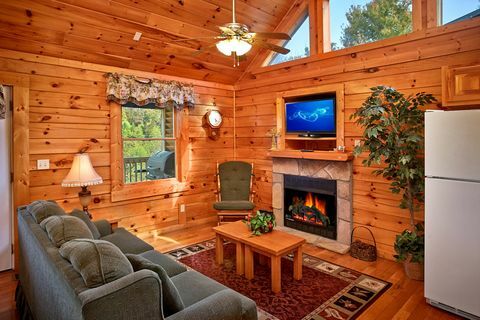 Warm up in the winter in front of the cozy gas log fireplace with your special someone. 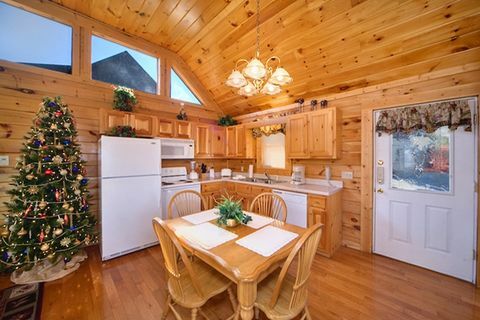 You can also concoct culinary creations in this cabin's fully equipped kitchen or on the outdoors gas grill. 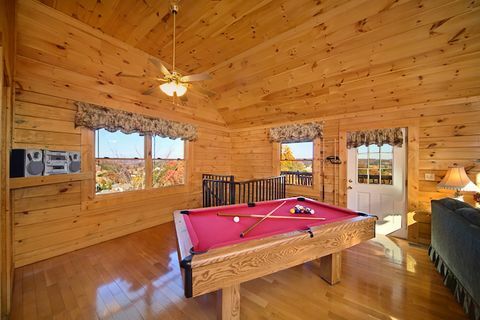 Enjoy the game room's pool table and tabletop Ms. Pac-man game for some in cabin fun. 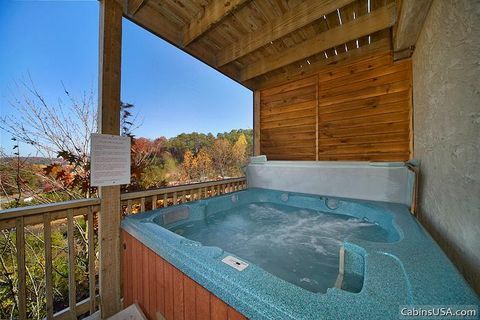 This cabin rental's 2 covered decks give guests plenty of room to enjoy the splendor of the outdoors, so be sure to enjoy sitting out on your cabin's rockers or take a soothing dip in this cabin's hot tub. 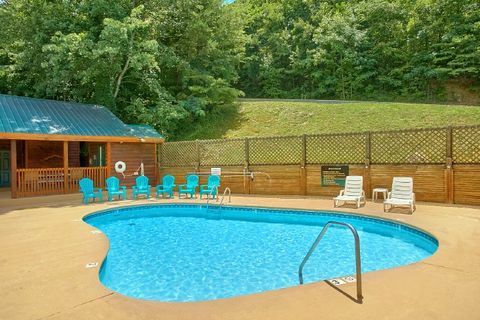 In the summer, enjoy your resort's pool for a fun-filled summer day in the Smokies. Additionally, this 1-bedroom cabin in Pigeon Forge situates guests close to some of the Smoky Mountain area's biggest attractions, hottest restaurants, and best retail outlet shopping centers. 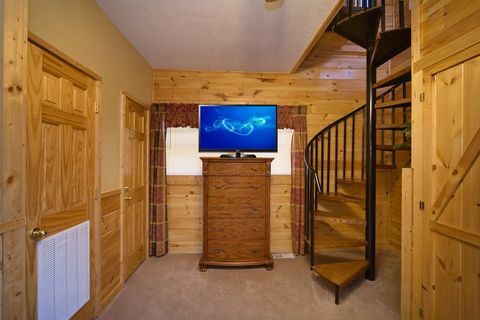 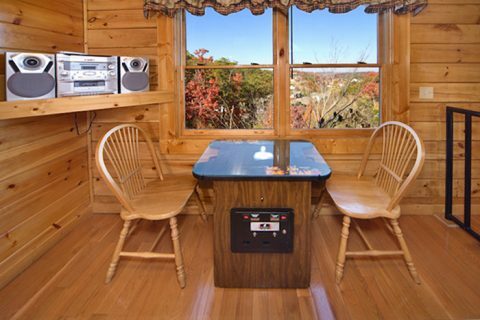 Whether you choose to relax at your cabin or to seek adventures throughout the Smokies, this 1-bedroom cabin Pigeon Forge is the ideal cabin for you.